What’s wrong with your website? My wife is nesting. Getting the house ready for Christmas company. Cleaning, polishing, making sure everything is ship shape. You know the drill. I am amazed at the little things she finds that need repair. A chip in the paint that needs touching up, for example. I walk by it every day but never noticed. Why? Because I walk by it every day. I’m used to it. So it doesn’t stand out. If you came to the house, having never been here, that chip would probably be the first thing you’d notice. My wife is also proofreading my latest book. I’ve been through it more times than I can count. To my eye, it’s done. She spots typos on almost every page. We all need fresh eyes to look at our work. We’re too close to it. We can’t see what’s obvious to others. Take your website for example. Do you know what’s wrong with it? Can you spot the things that are missing or need improvement? Even if you know what you’re doing, there’s a good chance you’re missing things, simply because you’re too close to it. You need someone else to look at your website. You need fresh eyes. Have a client go through your site with you. Have them narrate what they see and what they’re doing. Note the pages they go to first, and where they go after that. Have them find and fill out the contact form. Have them find your bio, your list of services, and the directions to your office. Have them follow you on Twitter or Like your Facebook page. Have them share one of your posts. You’ll see how others see and use your site. I promise you, it will be an eye opener. You should also have an expert look at your site. They’ll find more things that need fixing. They can show you how to get more traffic, more subscribers and more social media followers. 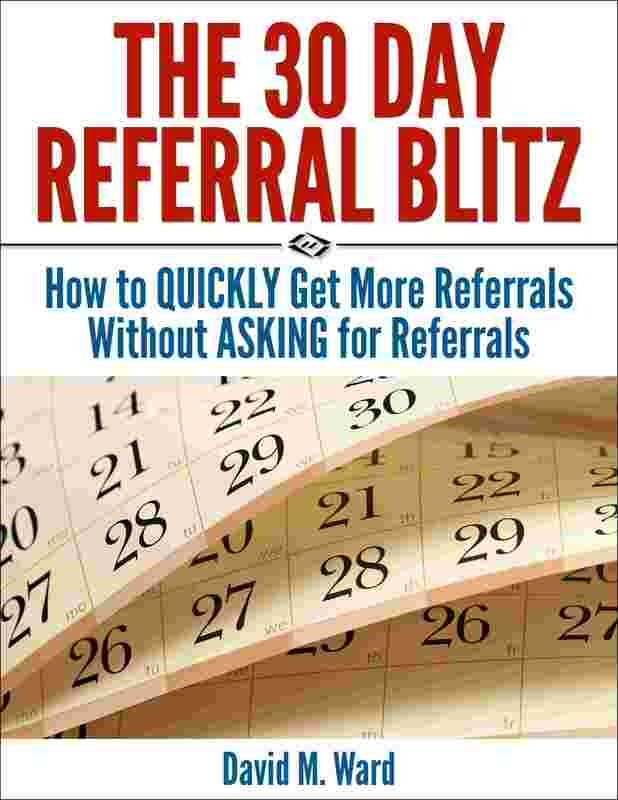 They can show you how to get more visitors to see you as the lawyer they should choose, and get them to call or email to hire you or take the next step. You can hire me to do that. I’ll go through the site with you and tell you what to do. Or, you can have me do this for free. Remember, when you order The Quantum Leap Marketing System, you get a free coaching session with me as a bonus. You can use that session to have me go through your site with you. What’s wrong with your website? Have me take a look and help you fix it. 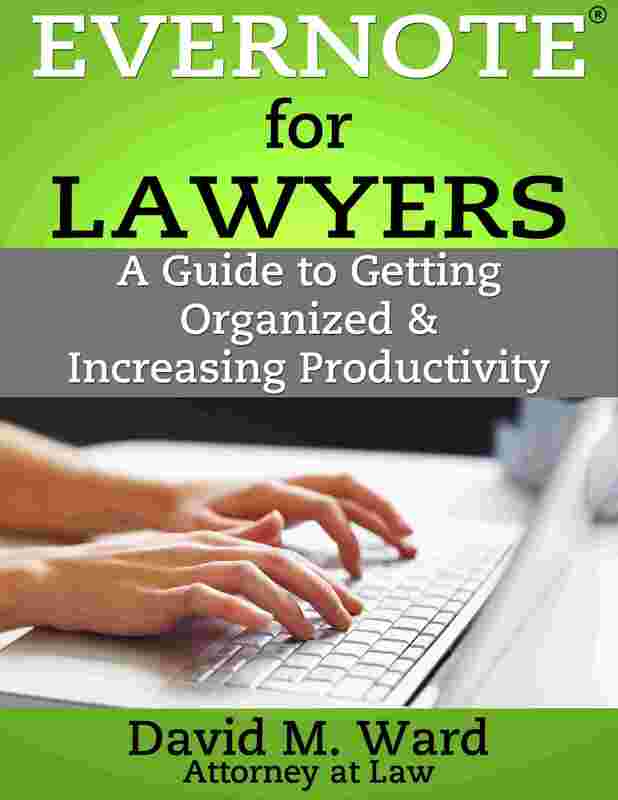 People prefer to hire lawyers they know, like, and trust. One of the best ways to get prospects to know, like, and trust you is to give them a sample of what you do. To some extent, that’s what you do when you provide free information. Blog posts, reports, articles, seminars, and so on, give prospective clients an insight into what you have done for others, suggesting that you can do the same for them. They can see you know what you’re doing and get a sense for what it would be like to work with you. Through your words, they come to know, like, and trust you, bringing them one step closer to hiring you. And yet, of all the people who read or listen to your information, only a small percentage actually take it upon themselves to call and book an appointment. There’s too big of a gap between “reader” and “client”. One way to bridge that gap is by offering a free consultation. Free consultations allow you to initiate a personal relationship with a prospect and provide them with “customized” information. It’s one thing to provide generic information in your practice area, quite another to interpret that information in the context of a prospect’s particular problem. Prospects who read your information may like what you say and the stories you share but this will never take the place of actually speaking with you. Done right, free consultations can bring in a lot of business. The problem with free consultations, especially in practice areas where they are common, is that they are usually not done right. “Free” is one of the most powerful words in the dictionary, but just because something is free doesn’t mean anyone will want it. 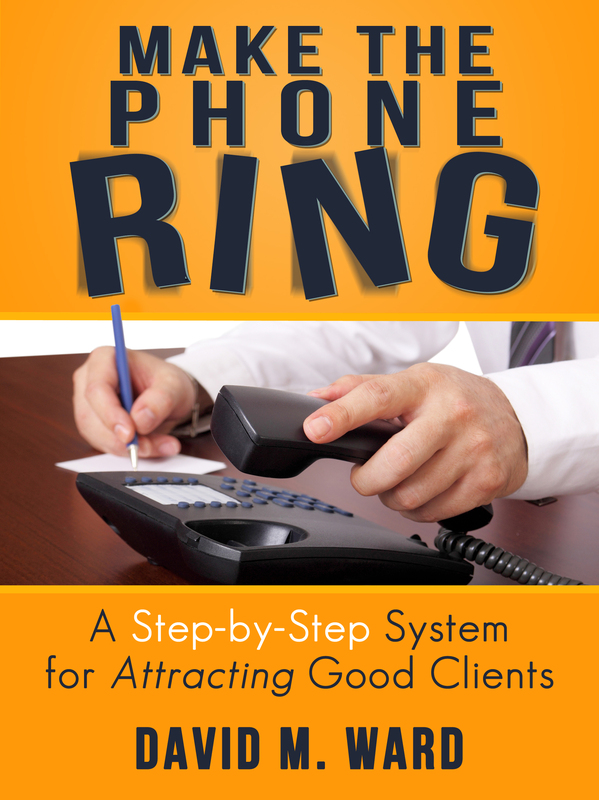 Many prospects today, seeing that most attorneys in your field offer free consultations, don’t see the value in yours. In fact, many prospects see no value in a consultation, believing it is just an excuse to get them into your office so you can do a sales pitch for your services. Unfortunately, for many attorneys, that’s exactly what it is. One solution is to include a detailed description of everything the prospect gets as part of the free consultation. Tell them what they will learn, what you will explain, what you will do for them, and what you will give them (e.g., reports, checklists, case evaluation, issue summary, etc.). Also tell them how they will benefit. Yes, you evaluate their situation and explain their options, but so what? What does that mean to them? It means they will be able to make better decisions about what to do, making it more likely that they will resolve their problem or achieve their objective. It means they will save time or money. It means they will be one step closer to eliminating their anxiety and worry and sleepless nights. In other words, you can’t simply say the magic words “free consultation” and expect people to come running. You have to “sell” it. Let me give you an example with my own services. Starting today, until further notice, I’m offering free consultations for my consulting and coaching services. These will be on a first come, first served basis since I can only do so many of these and I expect to get a lot of response. During our consultation we’ll talk about where you are and where you would like to be in your career. I’ll ask questions and I will give you my advice. I won’t mince words. I’ll tell you straight out what I think you should do. As a result, you’ll know exactly what to do to bring in more clients, increase your income, or otherwise improve your current situation. In addition, you’ll be able to ask me questions. You can ask about marketing, cash flow, productivity, goals, or anything else that’s on your mind. As you know, I’m not somebody who simply read a few marketing books and set up a web site. 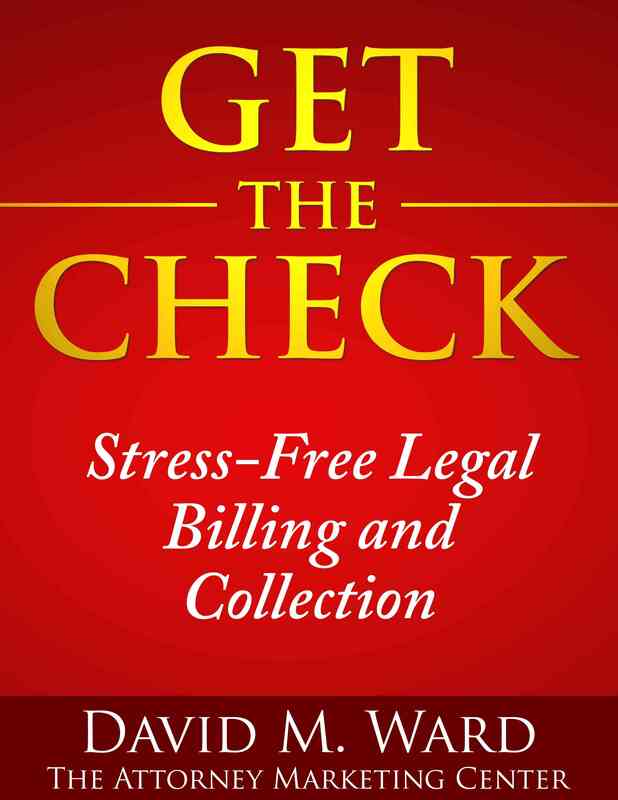 I practiced law for more than twenty years and learned (the hard way) what it takes to bring in good, paying clients. I know what works and what doesn’t, what works quickly and what doesn’t, because I’ve tried it all. I’ve been in your shoes. I know what it’s like to struggle to make rent. I know what it’s like to question whether you made the right choice of career or specialty or market. I also know what it’s like when the business is coming in faster than you can handle. 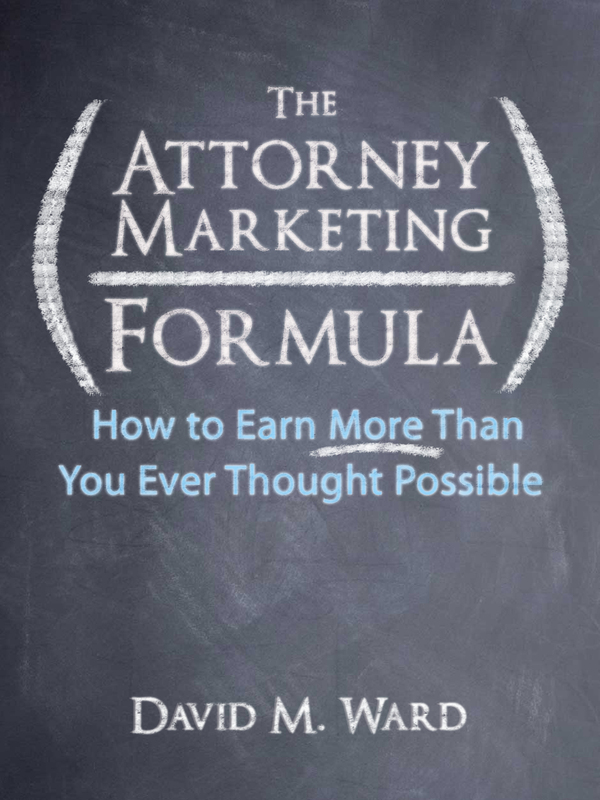 I have seventeen years experience consulting with attorneys and helping them to get more clients and increase their income. But then if you’re a regular reader of this blog, you know most of this. That’s why you read it. These consultations are free and there is no obligation to you whatsoever. Sure, I hope that after the consultation you will want to hire me or buy something from me, but that’s not important. What’s important is that I give you so much value during our consultation, so many ideas for taking your practice to a much higher level, that you can’t wait to get started. I know that if I deliver that to you, we’ll do business some day. Because I expect to get a lot of response to this offer, I must limit these consultations to 15 minutes. Therefore, after we schedule your consultation, please email me as much information as possible about your current situation. Tell me your problems, obstacles, questions and objectives, so that when we talk, we can get right to the solutions. If you’re interested in setting up a consultation, please email info[at]attorneymarketing.com and put “consultation 15” in the subject. Give me three dates and times when you will be available for 15 minutes and the best telephone number to reach you. (I’m in California, so mind the time zone.) I’ll email back and we’ll confirm the date and time. I look forward to helping you make 2012 your best year ever. This morning, I spoke to a coaching client, a successful personal injury attorney, about a recent decline in the number of new clients his firm was signing up. It wasn’t a precipitous drop, but enough to bring it to my attention. The economy has hurt attorneys, but clients don’t need money to hire someone on a contingency fee, right? Could it be that people are simply driving less? After some discussion, the question answered itself. The attorney realized that he had gotten away from doing some of the things he had done to build his practice. For one thing, he didn’t have as much time to meet with clients personally. 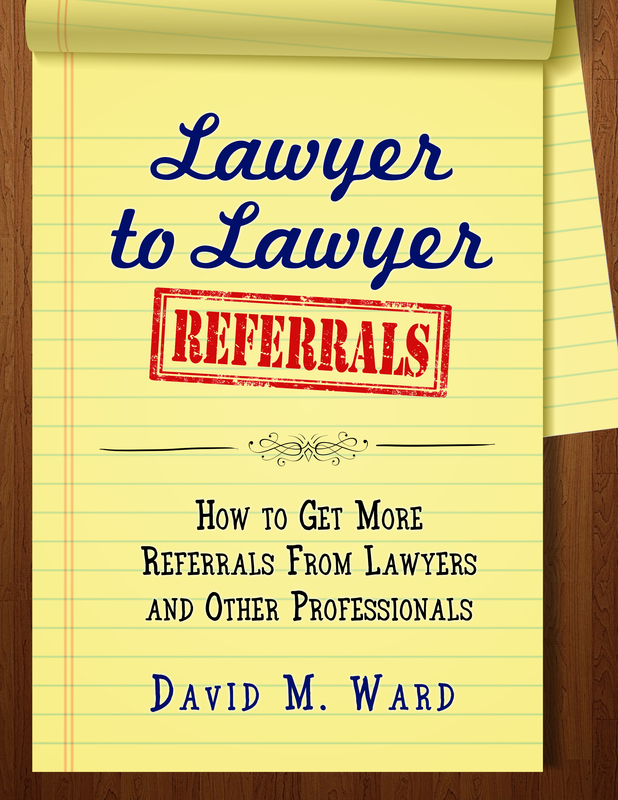 He used to do the initial client interviews himself and now has a paralegal do that for him. He knows it is the personal touch that builds relationships (and that those relationships create future business) but he doesn’t have ninety minutes to invest in the initial client meeting. I suggested he continue having the paralegal do the interview but that he come into the room at the end, shake hands, review the file, and say something wise and reassuring. Five minutes instead of ninety. Isn’t that what happens when you see a doctor? The nurse takes your history and then the doctor comes into the room. The doctor sees you for a couple of minutes, writes a prescription, and moves on. You expect this and you are satisfied with this. He or she is still “your” doctor. It is important to meet clients personally, to let them know they made a good decision in choosing you, and to give them some encouraging words about their case. This has nothing to do with the technical aspects of the case and everything to do with building a relationship with the people who are putting your kids through college. But this post isn’t about the value of building relationships so much as getting back to basics, about doing what worked so well in the past that you stopped doing it. 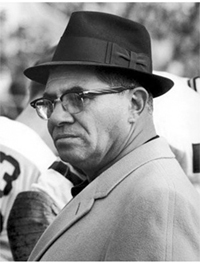 Football coach Vince Lombardi began every new season with a lecture to both veterans and rookies alike on the basics of football. “This is a football,” he would begin, followed by instructions on the elements of the game–passing, blocking, punting, and tackling. Lombardi knew that mastery of the fundamentals was the key to success in football and it is no less so in building a law practice. If your business has declined, the economy could be a factor, but there’s nothing you can do about that. What you can do is get back to fundamentals. What have you done in the past that worked so well you stopped doing it?